What type of drywall tape should I use for a drywall to plaster patch? What would be the best drywall tape for drywall to plaster patch? The patch is on a non-insulated garage ceiling, so there will be temperature swings from 0 to 100 probably through the year. I had to patch because of some water damage, the old material is plaster over rocklathe (3/4" total), and new is just a dual layer of 3/8" drywall. I have setting type compound, but I'm not sure of which tape would hold up better for these circumstances. I like the mesh tape for this sort of thing - because you can get material through it, and it seems less prone to peel. The self-adhesive aspect is not all that significant - it's merely holding it (barely) in place until it's embedded in compound. The compound is what actually sticks things together. 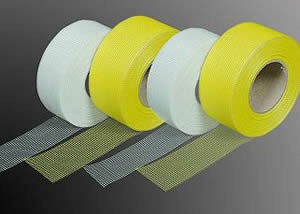 Fiberglass mesh tapes are usually self adhesive and easy to use, so tend to be the tape of choice for many DIYers. Mesh tapes tend to be a bit thicker, and require more compound to cover. Mesh tapes are self adhesive, so once they're stuck they don't tend to bubble or peal later. Paper tapes can be a bit more difficult to work with, which can lead to highly visible seams when used by inexperienced users. Paper tapes are a bit thinner, so typically requiring less compound to cover. Though it must be set in compound, so may require more coats. If paper tape is not set properly in compound, it can bubble and/or wrinkle as the compound dries. Tape will not fix this mess. 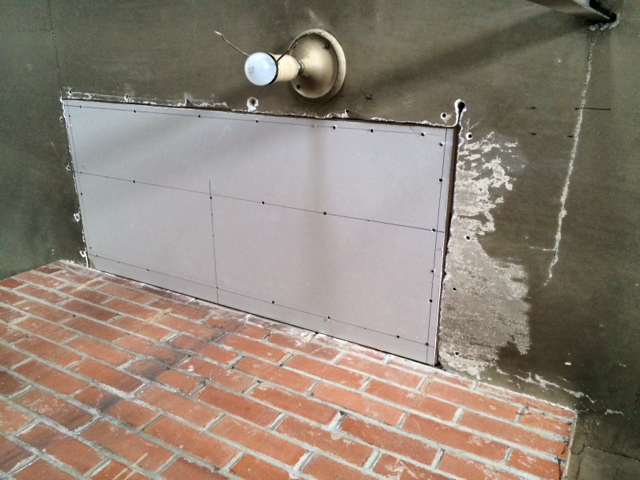 You need to first pull the sheetrock down and shim it so that it's flush and fits the hole. You should try to get 1/4" or lower gap. Then tape it and spackle. Not the answer you're looking for? Browse other questions tagged drywall plaster or ask your own question. How do I finish an outside corner where plaster meets exposed brick? How do I patch a large hole in plaster and lath? What insulation should I use in my attached garage? Are there differences to drywall joint compound and plaster? 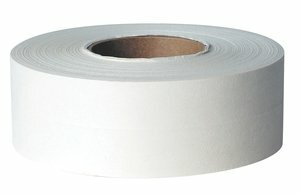 How can I waterproof a bathroom ceiling? Found Lath and Plaster wall under remodel drywall. Is it restorable? how to use fiba tape for drywall patch?